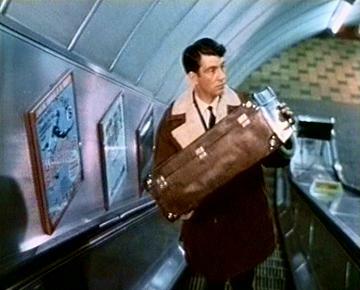 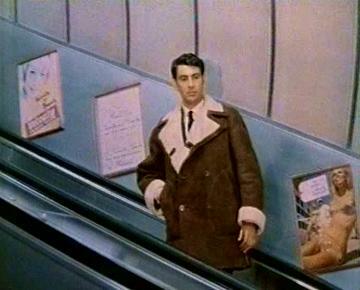 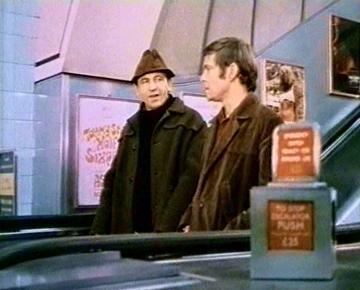 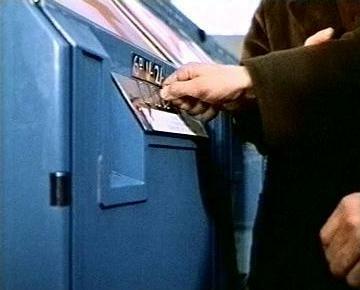 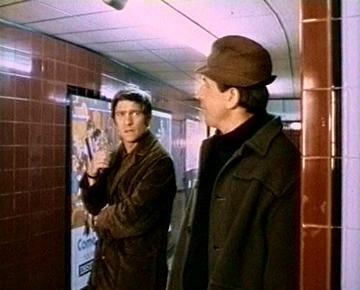 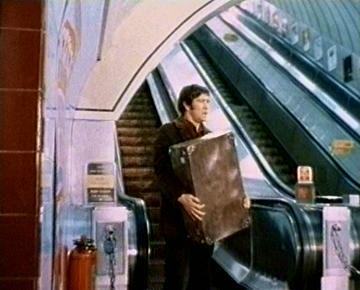 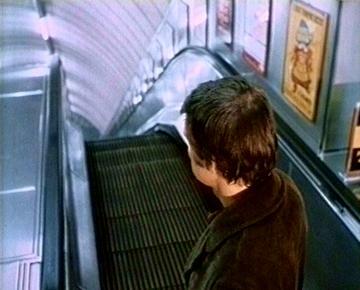 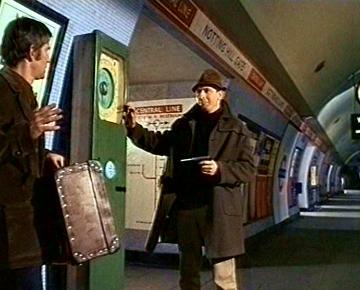 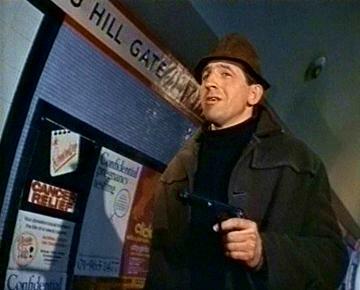 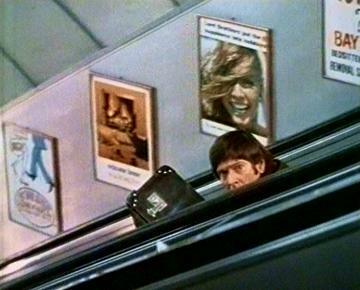 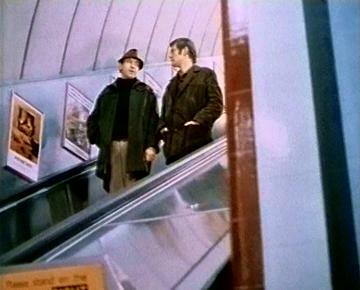 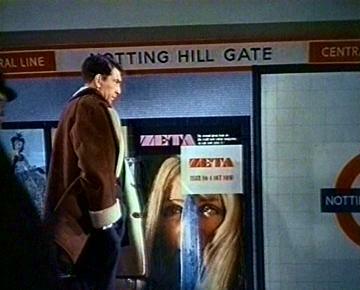 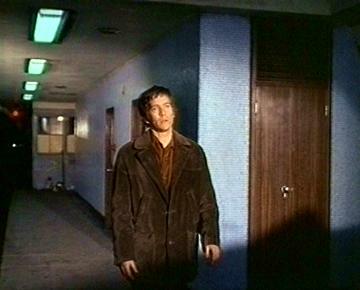 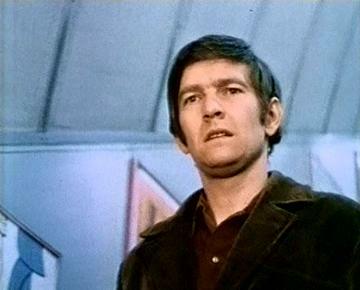 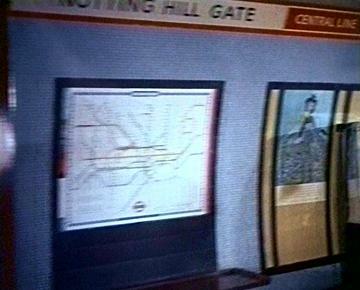 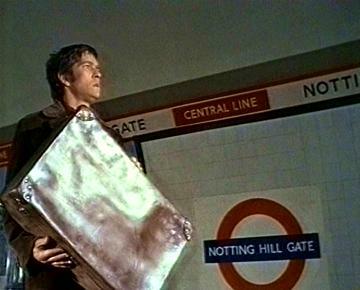 Framed for a murder he did not commit, petty thief Gerald Arthur Otley (Tom Courtenay) is forced by Johnson (Leonard Rossiter) into carrying out a bag exchange on the escalators of "Notting Hill Gate" station Central line section. 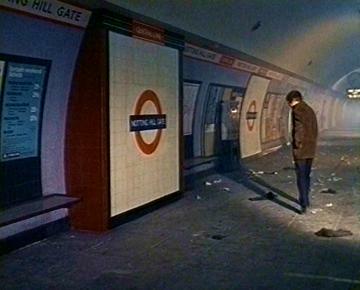 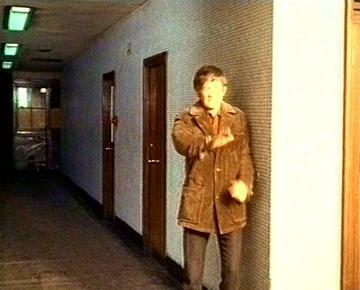 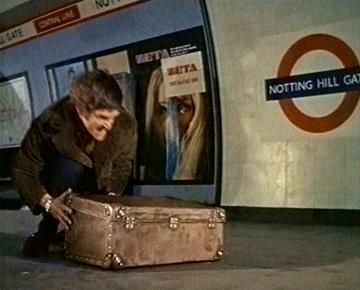 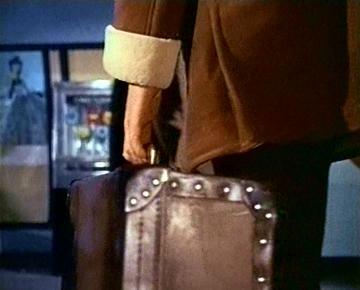 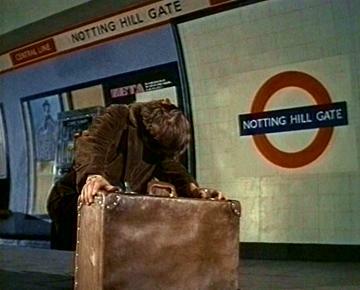 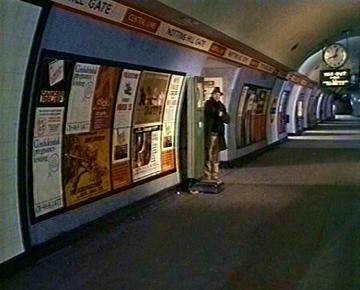 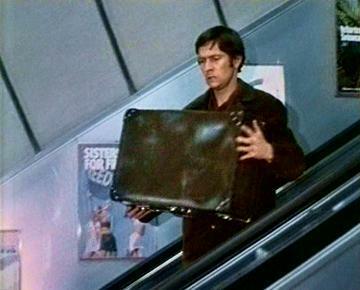 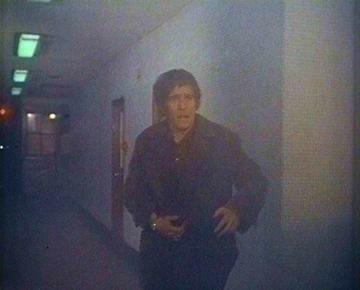 Reaching the platform, Johnson suspects the newly-acquired case is booby-trapped, and so forces Otley to open it. 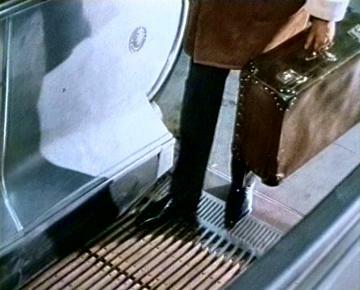 When he does so safely, Johnson retrieves it, and is about to shoot Otley - who backs away towards the end of the platform - when the bag explodes. 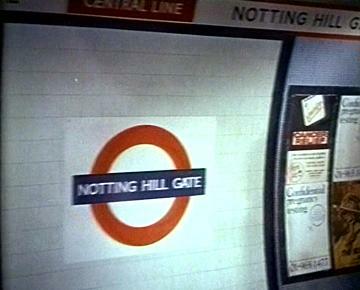 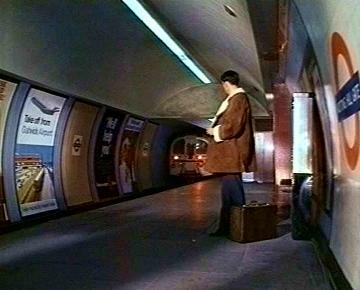 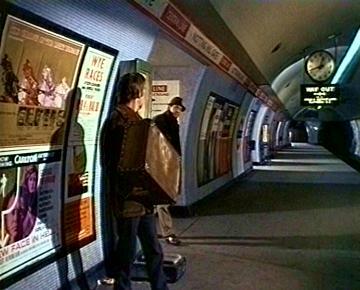 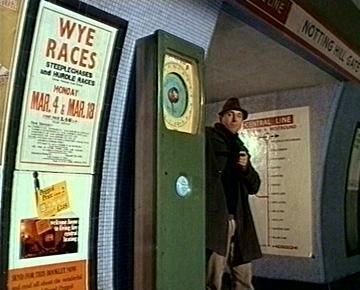 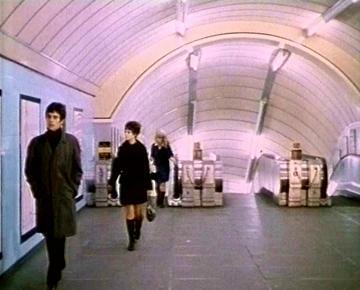 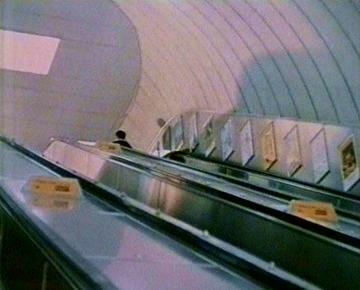 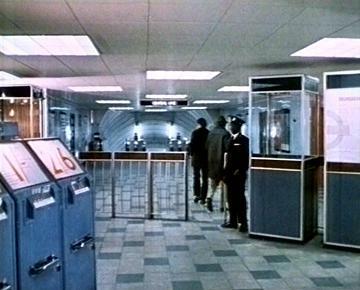 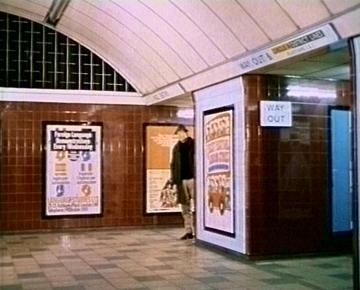 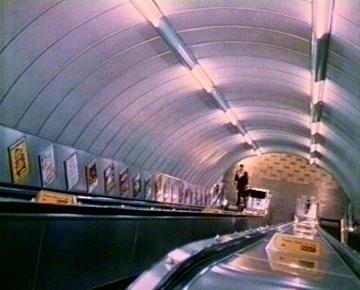 The ticket hall, escalators, and interchange concourse seen are those at "Notting Hill Gate," but the platform-level scenes were shot at the then British Rail-operated Waterloo & City line platform 7 at "Bank" suitably dressed with London Underground signage. 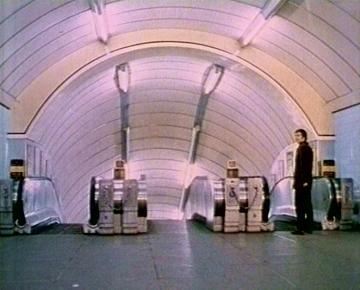 Although a train is shown to be leaving, most shots using it were from the inside, with only one brief glimpse of its last car disappearing into the tunnel. 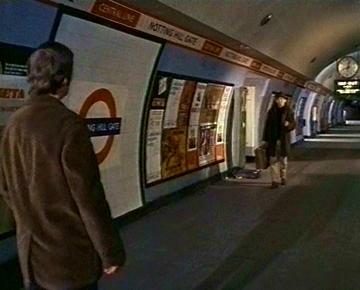 This is a rare instance of both BR and LU locations being used in the same production to represent the same station.